The variety of weight loss shakes and bars available is overwhelming. 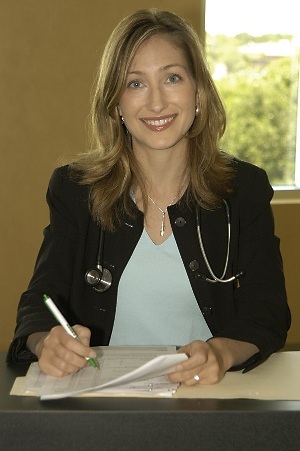 As an Internal Medicine Physician and Board Certified Physician Nutrition Specialist, even my physician friends often ask me which supplements are best for themselves and their patients. I recommend two brands of meal replacements for weight loss. 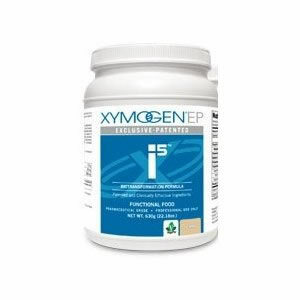 The first, XYMOGEN®’s i5, is my favorite because it is a powerful anti-inflammatory food that my patients use along with a detox diet. This all natural, fructose-free shake has ingredients that promote gastrointestinal health, optimize the body’s ability to detoxify harmful substances and respond to inflammation. XYMOGEN’s i5 patented ingredients, provide 21 grams of pea and rice proteins that are free of gluten and lactose, are generally considered hypoallergenic foods, and have a low level of flatulent sugars, negating the concern of intestinal gas. The blend also contains non-GMO chicory, a source of soluble fiber. Sometimes, my patients will read the label of other products and compare it to the ones we have in our office. While some of the ingredients may look the same as the Xymogen i5, the quality of Xymogen is the best that I have found. For example, the pea protein isolate in i5 is naturally obtained by simple water extraction, keeping all the nutritional qualities intact. It has a protein content of 90%, excellent digestibility (98%), and a well-balanced amino-acid profile, including a particularly high content of lysine, arginine, and branched-chain amino acids. The combination of rice protein and pea protein achieves an Amino Acid Score of 100%. Other products that contain rice and pea proteins cannot claim to have the same nutritional content unless they are extracting the protein with water. In addition to the perfect amino acid score, Xymogen i5 stimulates the immune system with IgG andsulforaphane glucosinolate. It’s Arabinogalactan is a non-digestible, soluble dietary fiber derived from the Larch tree. For weight loss, we recommend using i5 two times per day and an alkaline, wheat free, milk free diet for one to two meals a day. People lose as much as 10 pounds the first week. Because they are eating an allergen free diet, people also feel more energy, less gas, bloating and achiness! As mentioned above, I do offer two brands of shakes. The second, Optifast, is not anti-inflammatory, but is the only weight loss shake that is safe to use for a full liquid diet. When we replace all our food with shakes, the nutritional value of the shakes needs to replace 100% of the protein, essential fats, and vitamins required to maintain health. We use Optifast because it has been proven to be safe for full meal replacements for thirty years. There is no other full liquid diet that comes close to this. So, whether you are looking to detox and lose some weight, or aggressively loose over 50 pounds, choosing the right type of meal replacement will be a big part of your success. The integrative medical offices of Dr. Anne Hermann, MD, are conveniently located in St. Petersburg and Tampa, FL. To schedule your appointment, call (813) 902-9559.